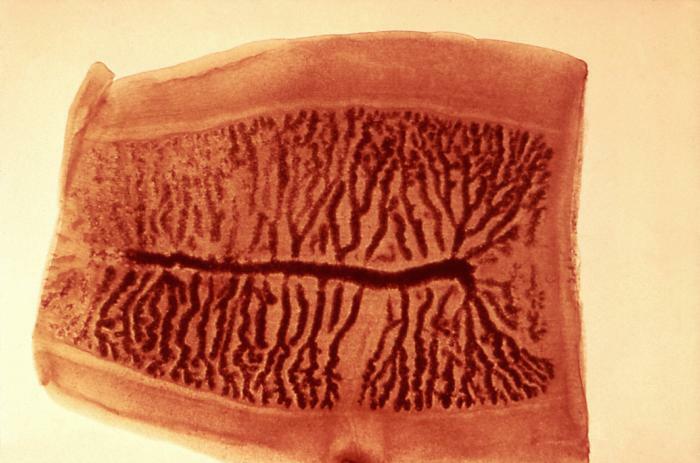 ID#:	5259 Description:	This micrograph reveals the morphology of a gravid proglottid from the cestode Taenia saginata, a tapeworm. The number of primary lateral uterine branches, i.e. the dark India ink stained irregularities, allows differentiation between the two species: T. saginata has 15-20 branches on each side, while Taenia solium has 7-13.